Over the past 17 years the library has acquired over 15000 books and issues of some 70 popular and academic journals. Besides it has a collection of reference books, particularly Census books, Annuals of the Publication Division, Government of India, Gazetteers, etc. The library has a good collection of books on Bihar, Women, Dalits, Ambedkar, Christianity, Children, etc. Within the social sciences, the following themes have the latest and substantial number (indicated within brackets) of books: History (800), Political Science (570), Anthropology (70), Sociology (50), Bihar (600), Dalits (375), Women (320), Children (40), Tribals (225), Minorities (50), Bihar (285), Folk Culture (44), Education (285), Hinduism (430), Jainism (95), Buddhism (90), Sikhism (40), Islam (70), Chrisitanity (1200), Development (90), Panchayati Raj 68), Caste (490), Culture (175), Human Rights (100), Social Problems (250), Collected Works of Gandhi (100 volumes) and of Ambedkar (14 volumes), Encyclopedic series such as the Sacred Books of the East (50 Vols), Encyclopedia of Religion and Ethics (15 Vols), Catholic Encyclopedia (15 Vols), Encycolpedia of Cultural and Religious Heritage of India (8 Vols), etc. The library uses computerized cataloging. The books and journals in the Library are classified according to the Dewy Decimal Classification Scheme. The Catalogue has two main parts: Alphabetical and thematic. The Alphabetical part has three sections: the Author Catalogue, and the Title Catalogue. Besides, these, each book has been classified under eight more themes so that a particular book can be traced in the computer from as many as 10 themes/heads. All the Scholarly/Academic periodicals are bound annually and preserved for reference. Some of the important Journals in XISR are: Economic and Political Weekly, Dalit Voice, Frontline; Indian Currents, Outlook, Newsweek, India Today, Seminar, Rally, Communalism Combat, Legal News and Views, Women’s Link, Social Action, Jharkhand Journal of Developoemnt and Management Studies, etc. Some of the religious and theological journals, such as Clergy Monthly, Jeevadhara, Jnanathirta, Indian Theologicval Studies, Indian Church History Review, Indian Missiological Review, Journal of Dharma, Bible Bhashyam, Vidyajyoti Journal of Theological Reflection, Review for Religious, Mission Today, etc. Dalits, Children, Women, Minorities, Panchayati Raj, Human Rights, Hindutva, Hinduism, Politics, Terrorism, etc. Some of the other themes are: Communalism, Religions, Development, Political and Social Movements, Tribals, Christian community, Islam, Bihar (all aspects) etc. The library users have to become members of the library with an annual payment. Members may use the Library for reference purpose using the premises for study besides borrowing books (at most 5 books per person) for not more than 15 days at a time. The library is open from 8.30 am till 5.00 from Monday to Saturday (office hours at XISR). The Individual Membership is free for St. Xavier’s College students of the campus. For other students it is Rs. 100.00, for research scholars it is Rs. 300 for Xavier College professors and those without any scholarship/fellsowship. Those with fellowship/scholarship is Rs. 500.00 annually. Besides, a refundable sum of Rs. 1000.00, is charged as security for borrowing books for use outside the institute. A maximum of five books only can be borrowed at a time by a person, to be renewed after two weeks. Books due for return may be reissued for a further period of two weeks provided the books are not in demand. A penalty of one rupee for a general book and two rupees for a reserved book will be charged for each day after the due date. The staff of XISR are eligible to borrow books from the library without a membership fee. Books will not be issued to members who fail to pay the annual membership. Membership has to be renewed every year. New books classified and catalogued during the week are put on display and may be borrowed after the books are inducted into the library list of books. Books on display may be reserved, but cannot be borrowed. Reference books may be consulted only in the library. 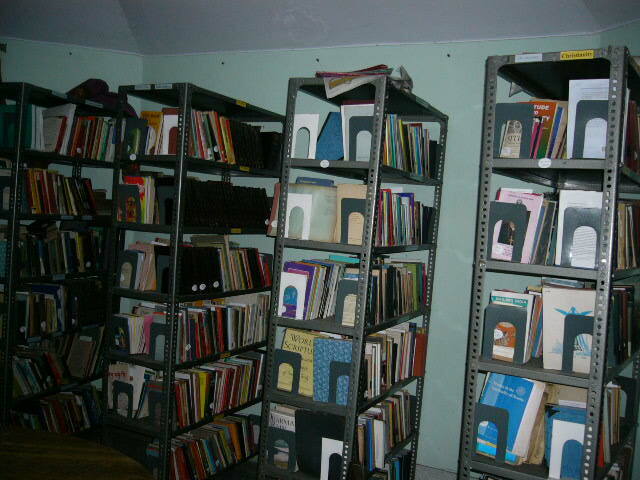 Journals and Magazines cannot be taken out of the Library. Loose issues of periodicals can’t be issued or borrowed. Please remember that non-receipt of a remainder to return over-due Books, Journal and Magazine does not entitle the borrower to delay the return of books. Books will be issued or returned from 8.30 a.m. to 5.00 p.m. from Monday to Saturday. Limited facilities for Inter-library loan are available for Institutions and Libraries for a period of one week. Books are not to be removed from the library without the permission of the Librarian. Books borrowed have to be returned in good condition. No one is permitted to mark, deface, damage or injure in any way, any book, and any volume of the journals, documents or other objects borrowed from the library. The librarian issues all books. 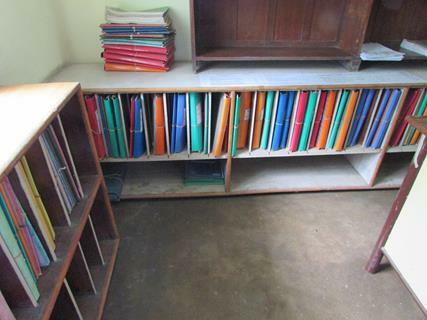 Borrowers are expected to return the books in good condition. Any damage to the books borrowed should be paid for. Loss of books taken on loan should be reported to the librarian immediately. 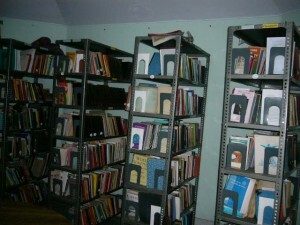 Members concerned may replace the books so lost or pay the cost of the books. For out-of-print books such a sum as may be fixed by the librarian is to be paid. Lost or damaged books and periodicals must be paid for. Use of personal books or bags or satchels is not allowed in the reading room. Strict silence should be observed in the library. Nobody is allowed to smoke in the library. Eating is forbidden in the library. Photocopying facilities will be available at the institute’s main office @ Rs.1.00 per page. The Library will remain closed on all National Holidays, and other optional festival days.